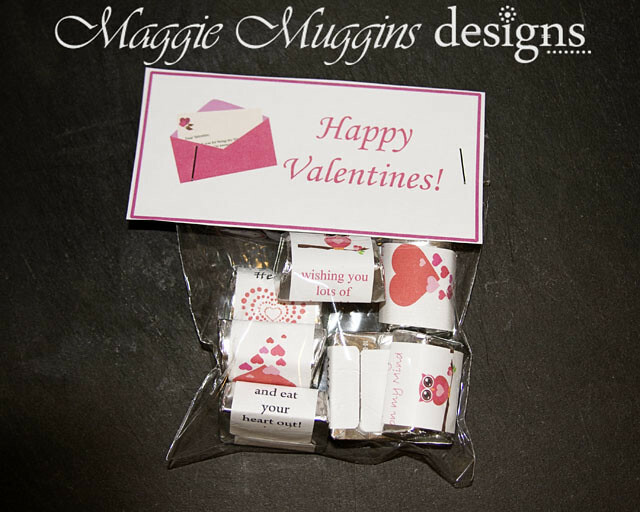 Maggie Muggins Designs: Happy Valentines + Free Printables! 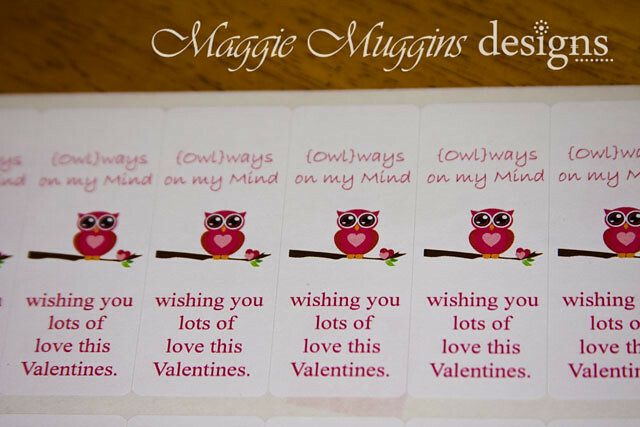 Anyhow, the other day I whipped up these cute Valentines labels for some friends and my Young Women at church. 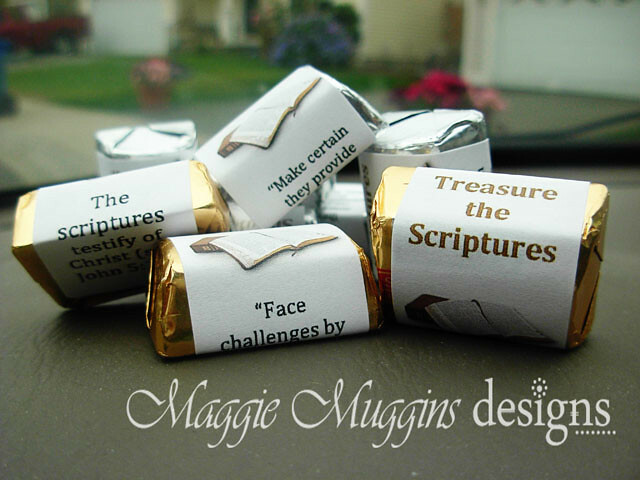 I will probably save them until later next Sunday (we had Stake Conference yesterday) to deliver all at once! 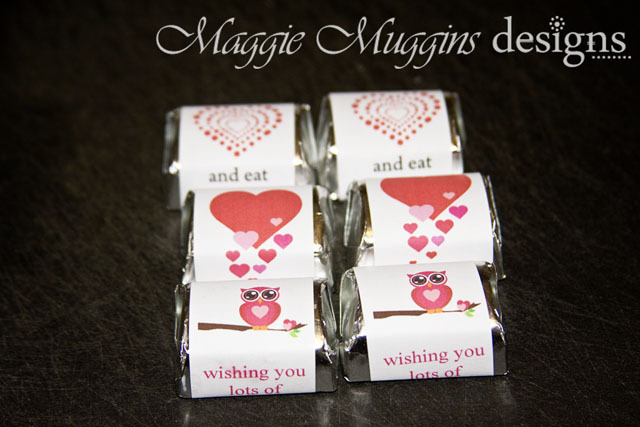 I found the idea for putting wrappers on Hershey's Nuggets here last summer when I needed a cute idea for Girls Camp. You can actually follow that link to download the printables for yourself. 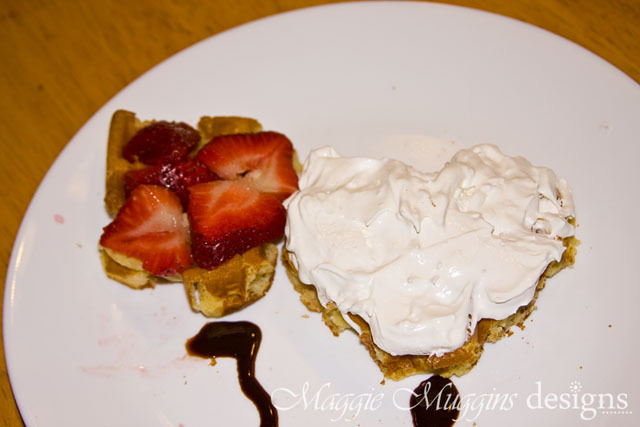 I decided to use it again for Valentines! I think they turned out cuter than last time. 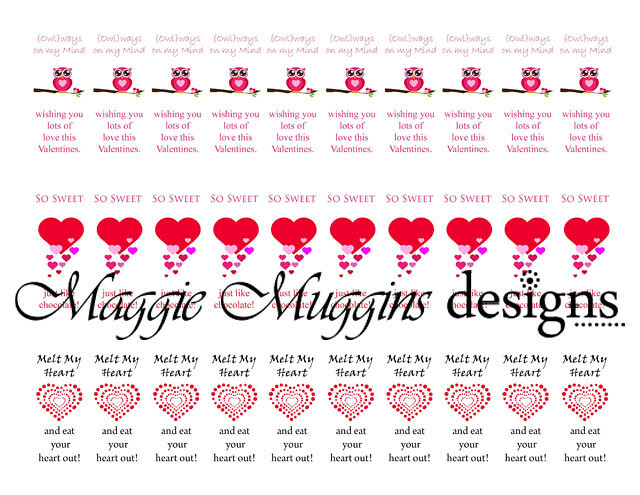 I made the labels and the tag in Adobe InDesign. I wanted it to be silly and fun for the kids. The images were free vector images from this site, where there are many more free vector images! I printed the label sheet on 1"x 2 5/8" labels from Avery . I love the Easy Peel ones. They come off the back super easy. One sheet (30 labels) is good for one bag of nuggets with a few left-over to snack on. My almost 4-year-old was even able to help apply the labels to the Nuggets. He did really well considering you have to line them up. Luckily the labels come off easily if needs be. The best part? You can download the PDF files I made for your own personal use! 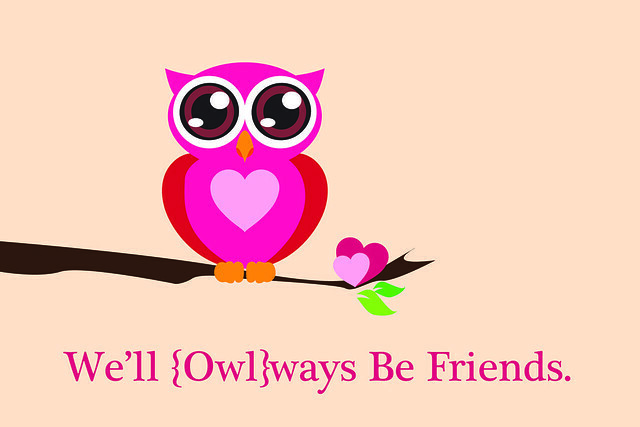 Of course, I absolutely love the little owl, so I decided to make a cute printable using it too. Again, these are free for Personal Use! These are 5"x7" size. Click on the image to go to Flickr and download them there.